Another chapter of the Simon–Cruzeiro–Lube soap opera has been released. In the same week that Brazilian club Cruzeiro announced that it would go to court against the Cuban superstar and the Italian powerhouse, showing that it would not give up on receiving the 1,000,000+ USD transfer fee from the transaction, it went ahead and announced french national teamer Kevin Le Roux as his replacement. The 29-year-old 6’10” middle blocker will play his first season in Brazil. Le Roux is a respectable player in his own right, having had successful stints in the French, Italian, Korean, and Turkish league. Internationally, he has over 100 caps with the French national team, and was a double winner of the World League (2015, 2017), and a 2015 European Champion. However, Brazil will be a new beginning for the middle blocker, after undergoing a traumatic injury followed by a contractual break-up with Russian club Dynamo Moscow. The player, which was supposed to have finally broken into super-stardom with the Russian club, ended up leaving it from the backdoor. 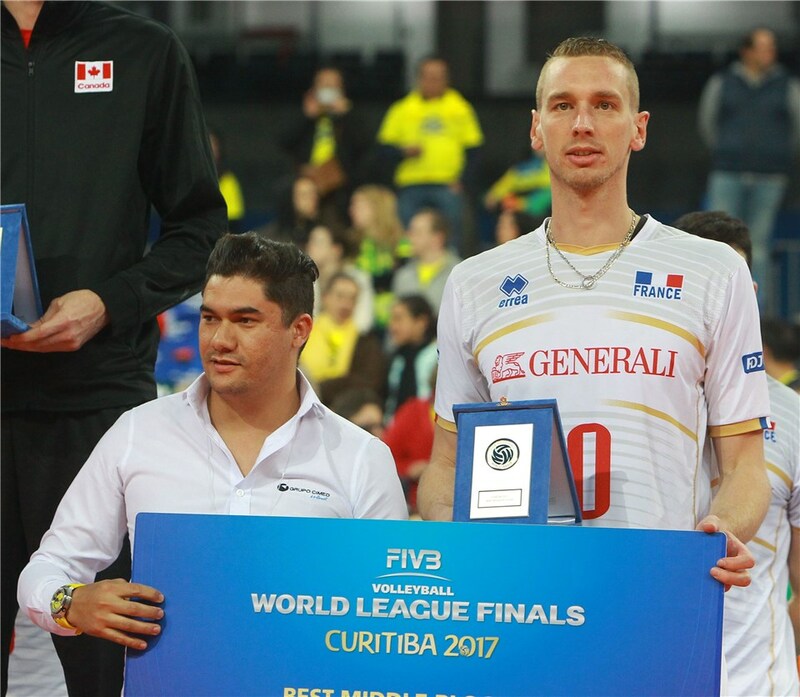 Le Roux’s come back path started very well in 2018, as he was awarded as the VNL’s best middle blocker, leading the team to a silver medal finish. At Cruzeiro, he’ll find a club that is the current Superliga champions and which for the last decade has occupied one of the premier spots in international volleyball. He’ll be joined in his new club by Team USA’s Taylor Sander, who joined the team to replace Yoandry Leal, who also left for Lube.